Having the right tool for the job is such a joy. It makes the task go from a struggle to a pleasure. Some things require lots of specialized tools, but not polymer clay. It’s a pretty accommodating material. Besides your fingers, you can really get by with things from around the house—a wine bottle to roll out the clay (I recommend a good Merlot), toothpicks, a kitchen knife. But . . . if you want to excel at polymer clay jewelry making, it’s a good idea to step up your game with a few special polymer clay tools! Most of these are generally acknowledged as must-have polymer clay tools. But I have my own opinions, of course, based on years of experience with polymer and years of experience at having opinions. 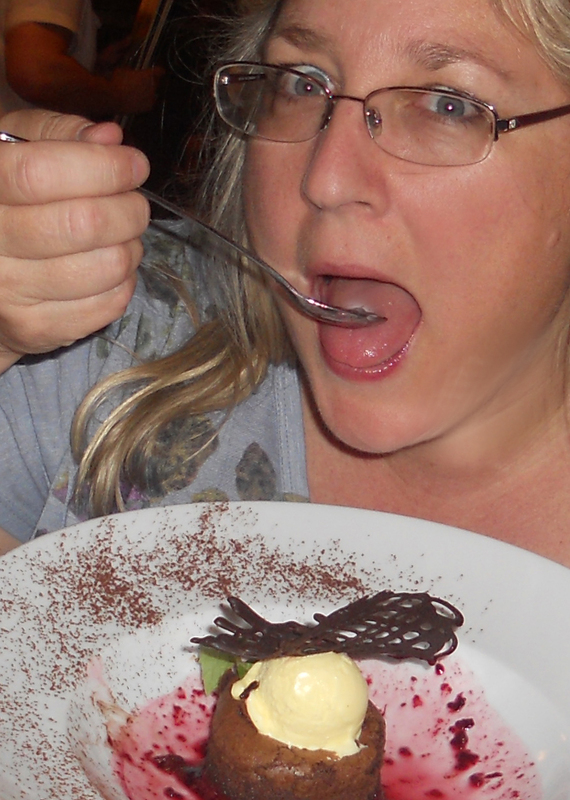 Remember that pasta machine you got from Auntie Francesca for your wedding? Well, dig it out of the back of the closet and use it to condition polymer clay, mix new colors, and make clay into smooth sheets—all key components in the polymer game! Don’t have one? That’s OK. Craft stores sell “clay conditioning machines” especially for polymer creators, and they’re perfect for all your clay needs. The basic models are just fine, but they don’t last forever. There are more durable models in the food industry, and lots of folks go for a sturdier version. 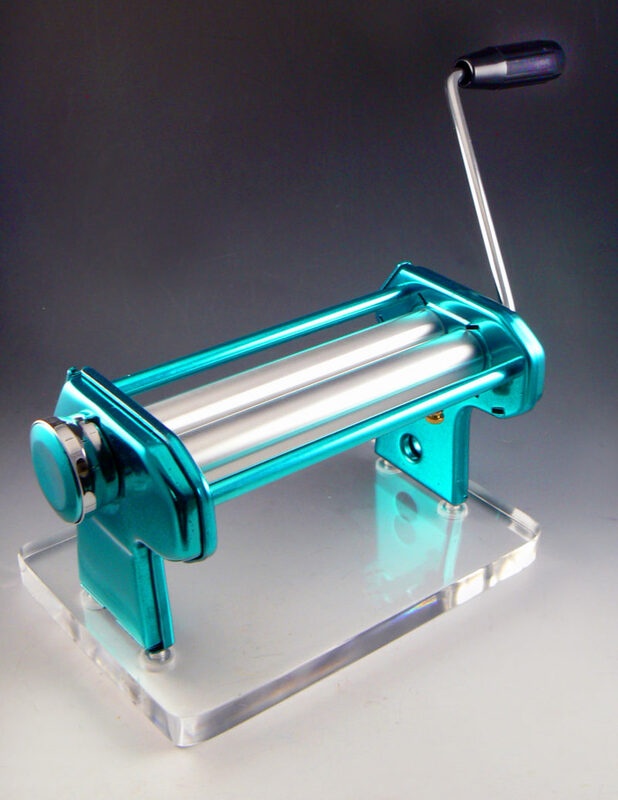 Of course you can also get fancy with motors and slicked-up versions. I just got this shiny new one . . . sweet, huh? This is the indispensable tool when working with polymer clay, because it makes short work out of getting the clay from a boring block into a flexible, colorful, usable sheet. You can use any ol’ knife to slice up your clay, but you’ll want a cutting blade to really be able to slice in a way that reveals the inner colors that polymer clay is known for. 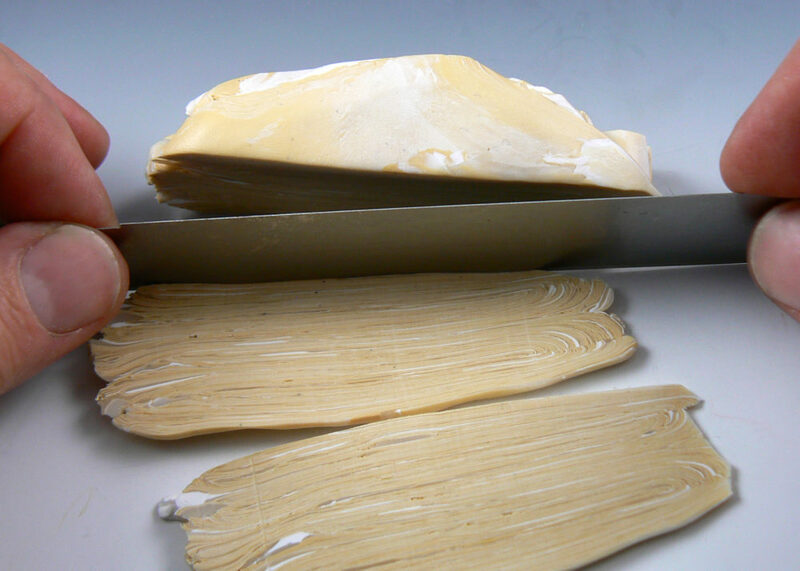 Cutting blades are long, thin razor blades made especially for clay cutting. (Hint: The sharp side goes down, away from your fingertips). These are usually sold in a pack of two. Some have handle attachments and even wavy ones for specialty cuts. The reason you need a long sharp blade to cut the clay is that it will slice clean with no drag, which will preserve the colors/design without distortion. This is a must-have polymer clay tool. 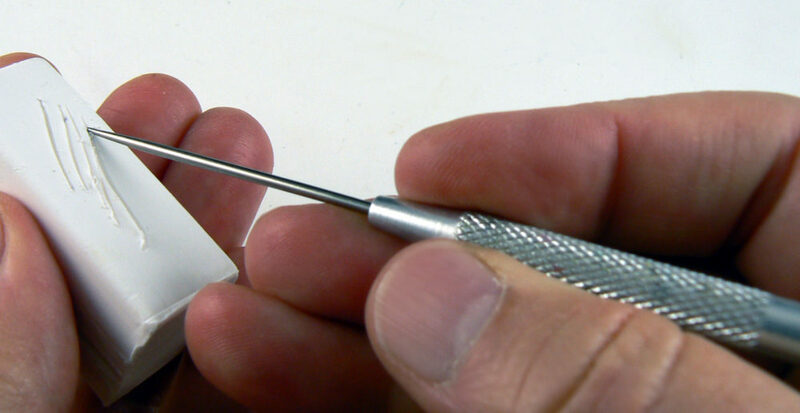 Needle tools are also inexpensive tools that you can find at any craft store. With this tool you will poke, texture, nudge, score, scratch, and stipple your way to creative happiness! 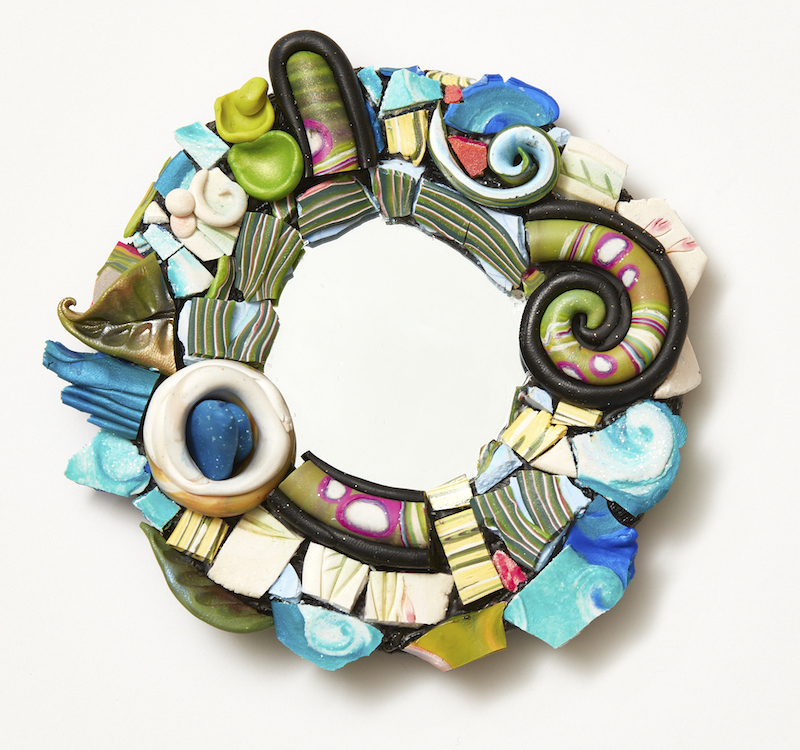 This a broad category and can include ANYthing you use to help shape your polymer clay. 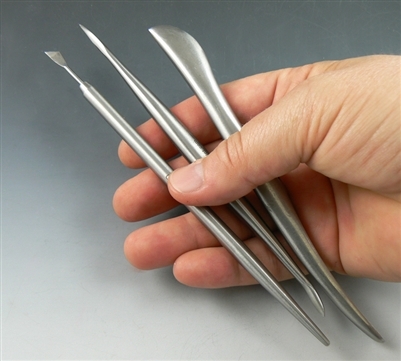 Sculpting tools come in metal, wood and plastic. I prefer the metal ones for use as polymer clay tools, because they push the clay around cleanly and don’t drag. Wood and plastic sculpting tools build up clay residue over time, which causes the drag. So now I’m going to do a little shameless plug for my own line of sculpting tools. 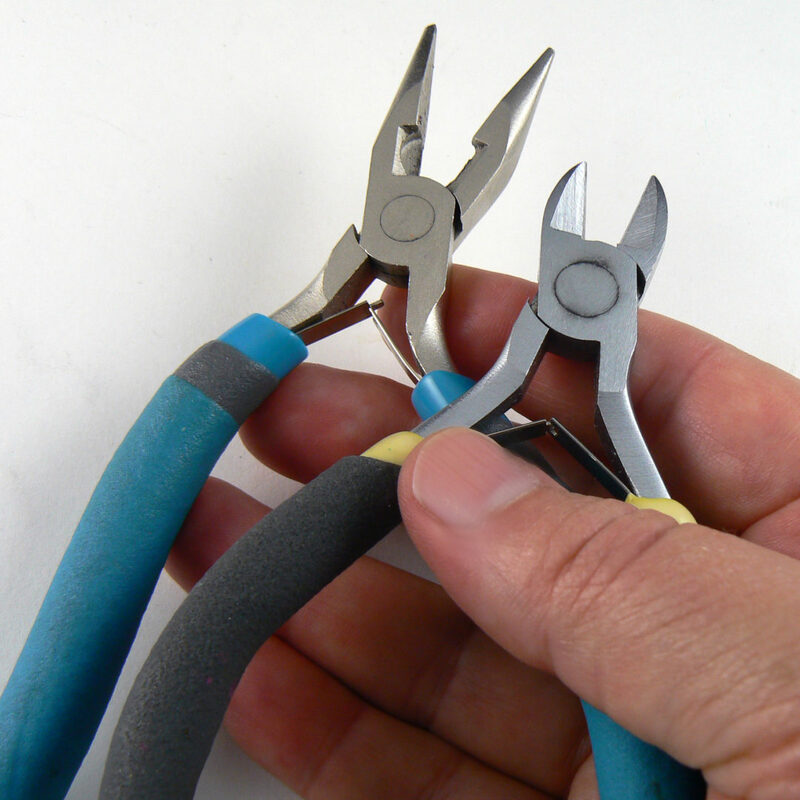 They’re simply THE best tools for working with polymer clay. Made from stainless steel, so they slide over the clay sooooo smoothly. I’ve had them available for years, and many other polymer clay enthusiasts have endorsed them, so it’s not just me saying how great they are! These three are good for making all kinds of shapes, indentations and textures, as well as blending and smoothing. You can find these polymer clay tools on my site, ChristiFriesen.com. This seems like a weird thing to have among your polymer clay tools, right? But it’s actually a brilliant one. 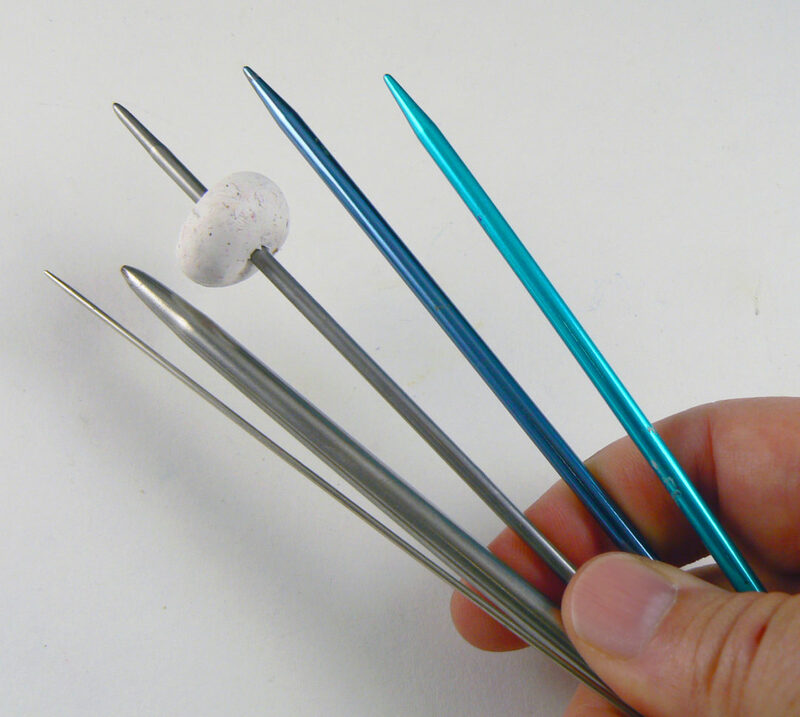 Easy to find and cheap, double-ended metal knitting needles make perfect skewers! 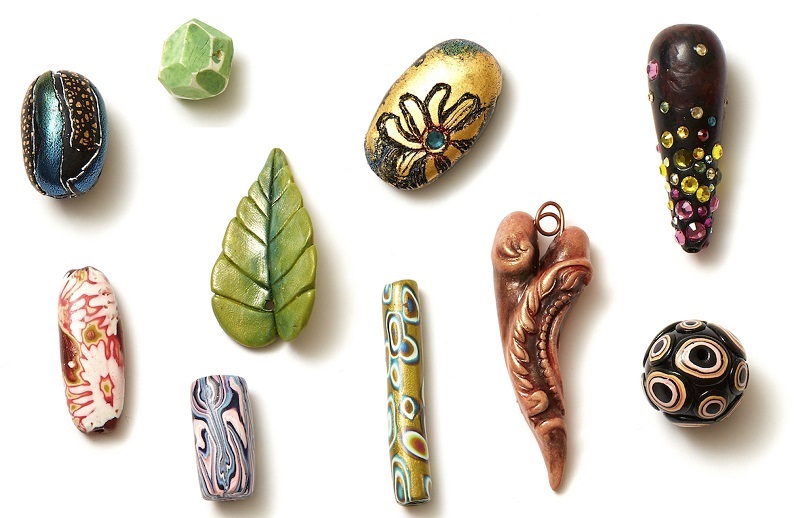 Lots of folks use polymer clay to make beads, and beads have holes. 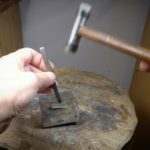 So just pierce a clay ball with a needle tool, gently skewer it onto a metal knitting needle, and you have a perfect hole/channel for your bead. Since the needles come in all kinds of thicknesses, you can make thin holes for thread or big holes for leather cords. And because they are metal, you can bake the clay while on the needle and then slip the beads off after they cool, which keeps the bead shapes nice and round. That’s a pretty great accomplishment for such simple polymer clay tools, don’t you think? Well, you don’t use these with polymer clay exactly . . . but you do use them for all the beads and mixed-media embellishments that you’ll want to ADD to your polymer, as well as hooks and support/armatures and all the things that require wire to be sniped and bent. You don’t have to get anything expensive; these are just workhorse tools to get the job done and move on. Forget those little cheapo brushes with the nylon hairs that fall out anytime you use them. 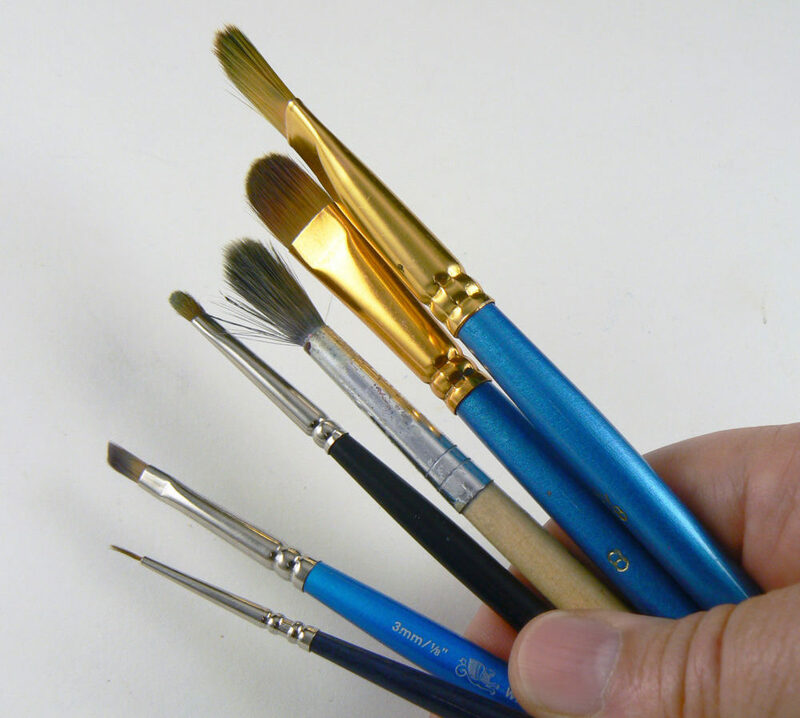 Get a few decent brushes to use with your polymer clay creations. Polymer loves powders and paints, so get a variety of brush sizes and bristle shapes to apply these surface treatments. They don’t have to be really expensive, just not the cheapo kiddie ones! Since when is a tile a tool? Since now! Any object that makes working with a material easier can be considered a tool. So I’m sticking with the good ol’ cheap ceramic tile as a must-have tool on my Top 10 Polymer Clay Tools list! 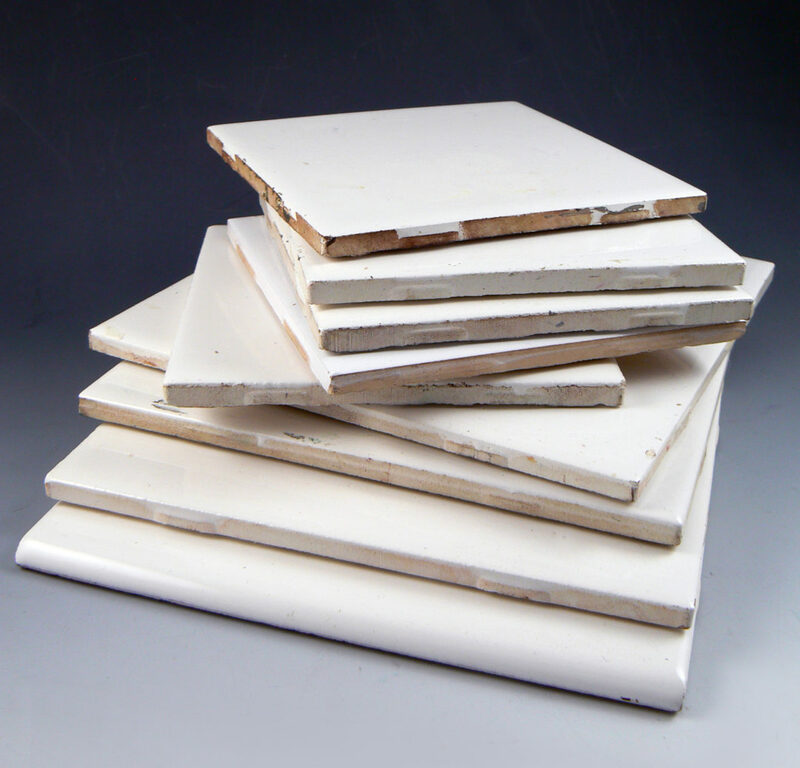 I have a stack of 4×4” and 6×6” white glazed tiles ready for any project. Ceramic tiles grip the clay, so any job that involves cutting will be a breeze when it’s done on a tile. And they’re perfectly flat, so clay sheets and sculpture bottoms pressed onto a tile are also flat, not wiggly. Tiles take your clay right into the oven for baking and provide a more even baking temperature environment. They’re just kinda perfect. Get them at any hardware store; they’re super cheap by the piece and even cheaper by the box! 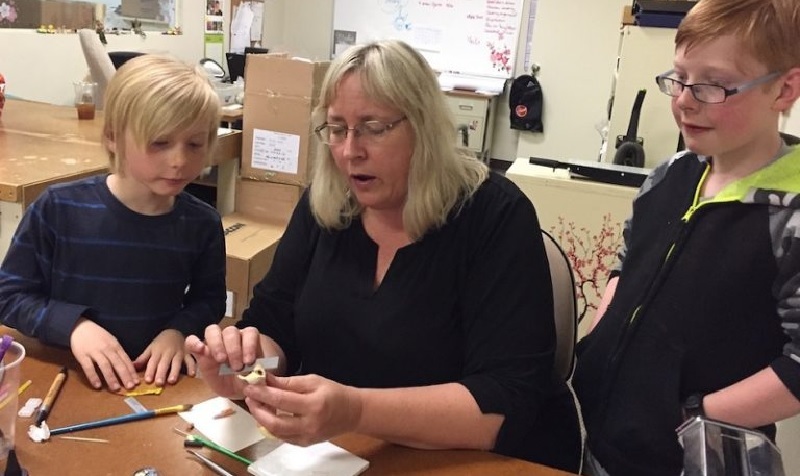 Did you know that when you make a thin sheet of clay and bake it, it becomes something you can cut and use in a completely different way? Yup! That’s a thing. 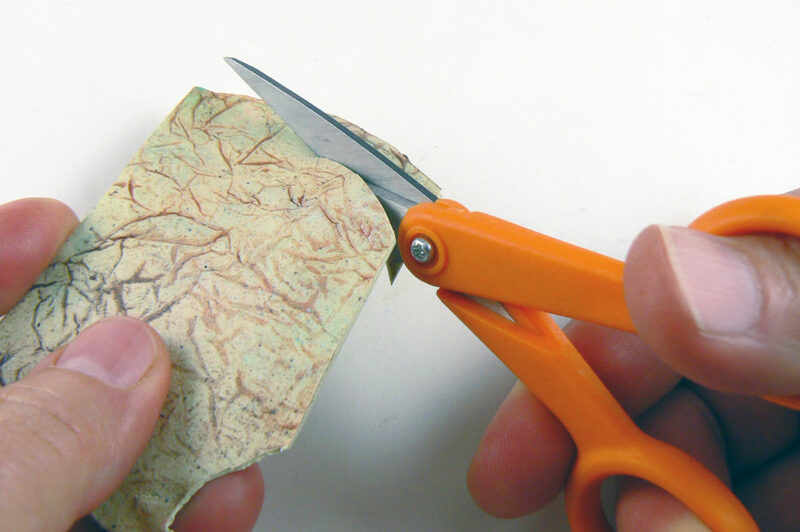 And in order to cut out shapes or tiles or strips to use for mobiles, mixed-media assemblages, mosaics, or weaving, you’ll need a nifty pair of sharp little scissors. This tool is for eating some chocolate dessert while you are working with polymer clay, in order to keep up your creative energy. You could use your fingers, but then you’ll get crumbs in your clay, so keep a spoon handy in your studio. The more you make with clay, the more polymer clay tools you’ll inevitably add to your arsenal. But if you start with these 10, you’ll be set for a joyful, successful, clayful experience. Discover how fun polymer clay can be with Christi’s online workshops–plus these books and videos!